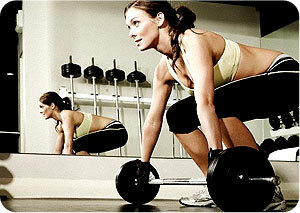 Probably one of the biggest mistakes we all make is spending too much time working out instead of working out smarter. Try these 5 quick workout tips to get extreme results and keep things interesting at the same time. I wanted to create an ultimate upper body & abs workout which you can do in under 45 minutes and will give you fantastic muscle definition and build your endurance at the same time. What you’ll find with this workout is that the exercises tax multiple muscles at the same time for fast results.